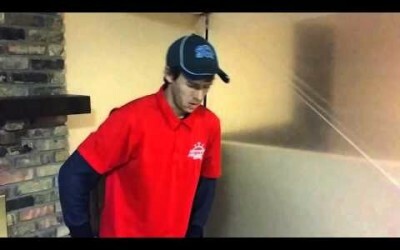 Restoration Pro 24 carpet cleaning technician shows step by step how to clean a heavily soiled carpet. 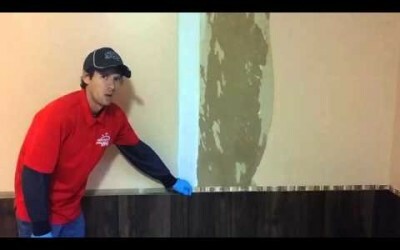 Watch how he removes carpet stains from a high traffic area. 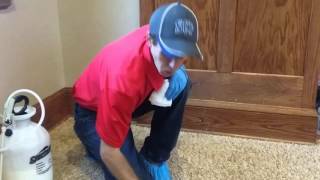 Restoration Pro 24 carpet cleaning technicians shows how to remove a dark grease stain from carpet. 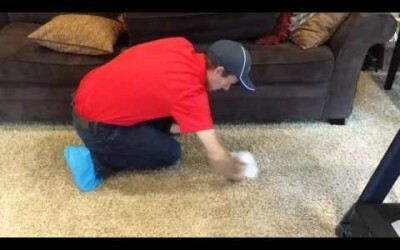 Watch as he explains the process and products needed to effectively remove dark stains and grease stains from carpet. Restoration Pro 24 water damage technician removes water damaged materials to access bound water.